Just so anyone who has time to read this, I had chem practical 32 yesterday and it was so tense and not to mention hot. There were too many questions and not enough time to think (for me, don't know bout other people). 1)titration while making sure than the flask your holding is above 65 degrees Celsius. 2)2 thermochemistry experiments (short but annoying as you have to weigh before and after (not to mention that you share a balance with 6 to 9 people). 3)A few salt experiments to identify the anion (one involves concentrated sulphuric acid and fumes spewing out) and cation which I found out ten minutes before times up and there were at least 5 question I did not finish. In the show, it was stated that Einstein passed away in Princeton Hospital in New York. And after his autopsy, his brain was kept and preserved by Dr. Thomas Harvey (the one doing the autopsy at the time). He kept it with him for more than 50 years albeit only he few pieces as he cut Einstein's brain into 240 pieces(more or less). After some research and modern computer graphics, it was confirmed that there was something different about his brain. 1)There were significantly more glial cells in his brain especially the part use for calculating and imagination just by analysing it under a microscope. 2)With the aid of photos taken prior to cutting, a 3D model was made and a region of the brain above the ears was about 15% larger than that of a normal human's. 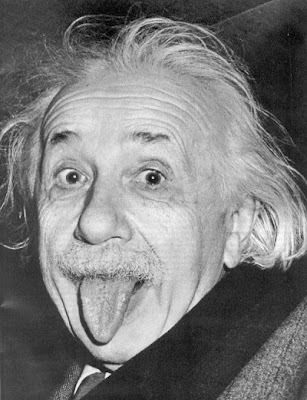 3)There were also guesses that point Einstein to be autistic but there is no proof as you cannot see whether a person is autistic by looking at his brain(literally). The main reason for this documentary was to figure whether other people can be future Einsteins. You watch it here. Finally, there is a possible way to prevent HIV although still in experimental stage. Something random since I don't really want to type so much. You can decorate your house and increase O2 in your house in the day. 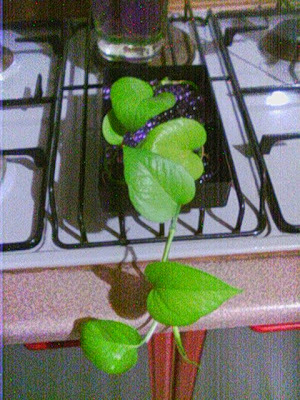 I use this instead for soil as you do not need to water them everyday and no mosquito can breed. It cost me RM4.90 for a small pack at Tesco. There are ready made ones that cost the same but it is not recommended as they earn more from the same product. As for anyone who wishes for a tutorial, there isn't as I'm a very impatient person and all this can be done easily. 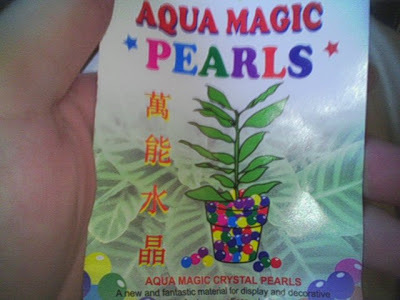 Add water to the pearls, soak them. Find a container,place them in. 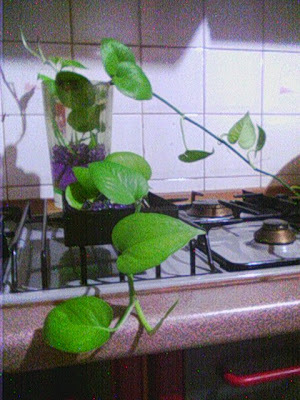 Find a plant that requires only water to survive and voila! It's done. Hope you all can decorate your home with this. McDonald's was a place where only people who had enough extra money could afford to go in and buy food. Fortunately, changing times have caused the price to drop (or did inflation occur?) so that most of us can enjoy it. As everyone who dines at McDonald's should know,they have a promotion from 12 noon till 3pm and reduces the prices to almost 30% during that time period. From allocated time, we can see that they are trying to attract more youths and office workers to buy their products. A good but ironic reason to try this sometime is because you can actually reduce the amount of calories you consume because they have done the math for you. (Read the info on the paper they put on the tray)And also that the proportions are not very big(when compared to American fast food meals in America, we seem to have mini sizes) so, as long as you do not over eat. Some pictures to supplement the previous post. 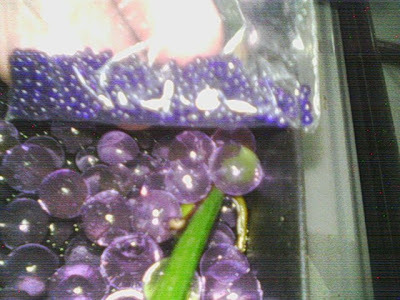 Picture quality is not good as i use my camera phone in VGA mode. 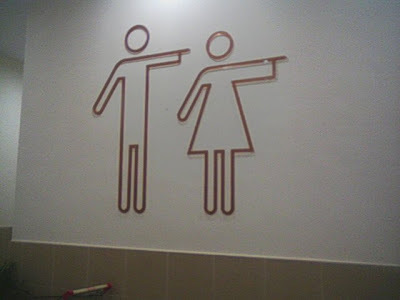 Toilet sign at IOI Mall. Just something random. On Wesak Day, me and my parents went to a temple in Cheras to pray at about 1pm. After praying, we were hoping to see the chief monk in charge but sadly he passed away for a month and after paying our respects , we moved to our next destination. 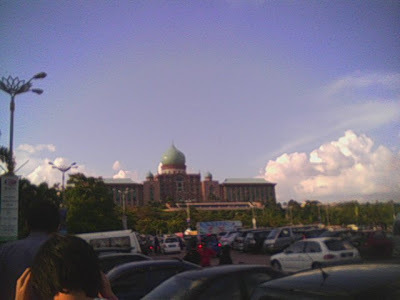 Later, we went to Putrajaya after following a series of confusing signboards.Seriously they do not know how to place the signboards properly eg. trees blocking the signs and lack of signboards. We took the Cruise Tasik Putrajaya which was quite informative about what is going on in Putrajaya.I went for the RM30 trip and believe me it is worth it if you brought your camera and went snapping away and there is air-cond which is worth every sen ad it was hot (5pm). After another round of confusing signboards,we went to IOI mall puchong to have a mother's day dinner at Papa John's pizza. You gotta try the special cake even though it is very small because the white chocolate is very tasty. 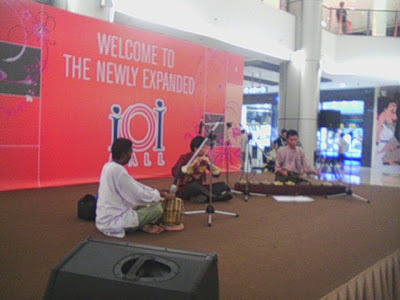 he fusion music was nice as it combined musical instruments from the three main races, Chinese, Malay and Indian showing the spirit of muhibbah. They played great music, so great that even the kids were rushing on stage. The Chinese musical instrument was represented by the chinese flute, the drums for the Indians and one instrument from the gamelan for the Malay. It was nice and all but it was time to go home as we were all tired and so ends my outing for the day. The recent swine flu outbreak cause a lot of phobia about swine or pigs in common terms. The recent wake of pandemic diseases eg. SARS, bird flu and now swine flu, makes you wonder if this is God's punishment or just a reaction to what humans have done in the past. I mean seriously think about it. From the start of the Industrial Revolution, man has been churning out CO2 in massive quantities causing global warming. Link this to biology and you will notice many animals become extinct unless they adapt. The same goes for microorganisms and viruses. The overuse of antibiotics also plays a part here as microorganisms need to mutate to survive causing the birth of "superflus" which are hard to cure.